Ever wondered what’s the best VoIP service providers out there? I just received an interesting infographic that I want to share with you. It shows the most popular VoIP services out there, a really neat price comparison between these popular services, and a rank based on their user reviews. With this infographic, you can easily decide which VoIP service is the best for you. Excited to see the Infographic? Here you go! We first saw 360° camera on action cam like Nikon Keymission that captures everything in every shot. Some device offer 170° camera which is good enough for travelers in capturing landscape. A new brand was introduced to the smartphone market called Essential with super wide angle lens and high-end specs for USD699. 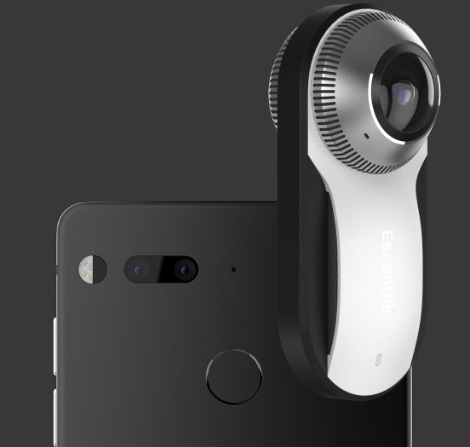 This smallest 360° camera is an Essential phone accessory. The magnetic connector with wireless data transfer keeps your phone cord-free, future-proof, and always up-to-date. It has dual 12-megapixel fisheye lens with F1.8 aperture and 210° (each) FOV. The Essential smartphone with 360° camera has a limited time offer of USD749. They tried to do a drop test on solid concrete, the Essential Phone’s titanium enclosure survived the fall without blemish. Yes, it’s titanium material, much stronger compare to other phone’s aluminum frame. For me, over all features is great and looks promising, I’m now thinking of getting one for photography and travel purposes. It was globally announced in May 2017 but there is no specific date yet on when it will be available in the Philippines. 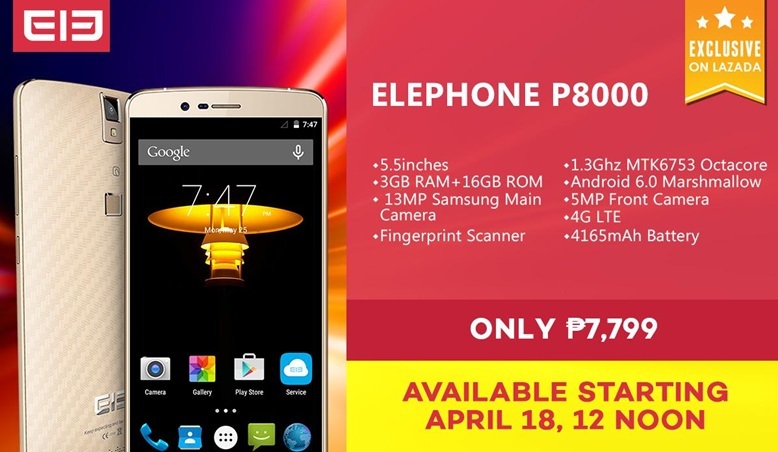 MANILA, PHILIPPINES – April 2016 – Innovative and user-friendly, superior in quality and performance, elegance in design, and great value for money– these are the pillars that best define the latest smartphones from the fast-growing Chinese smartphone manufacturer Elephone (HK Elephone Communication Tech Co., Limited). 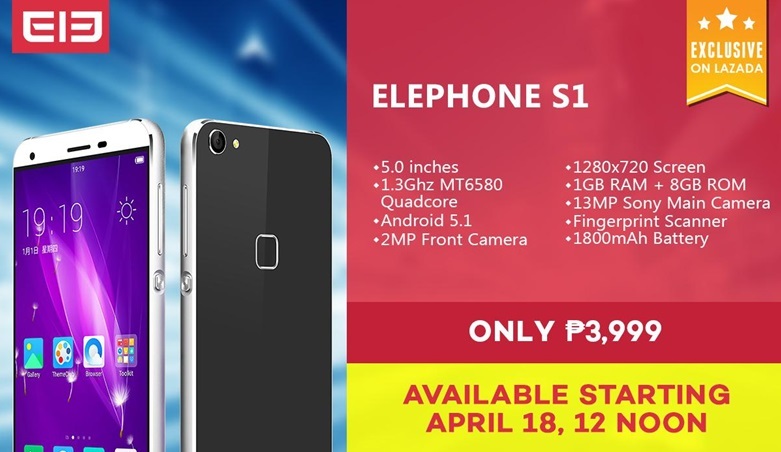 Elephone has been committed to developing high-end smartphones and making it affordable to global customers. With years of development and innovation, Elephone now has gained a very strong market traction in Europe and Southeast Asia. “We are very excited for our partnership with Elephone. 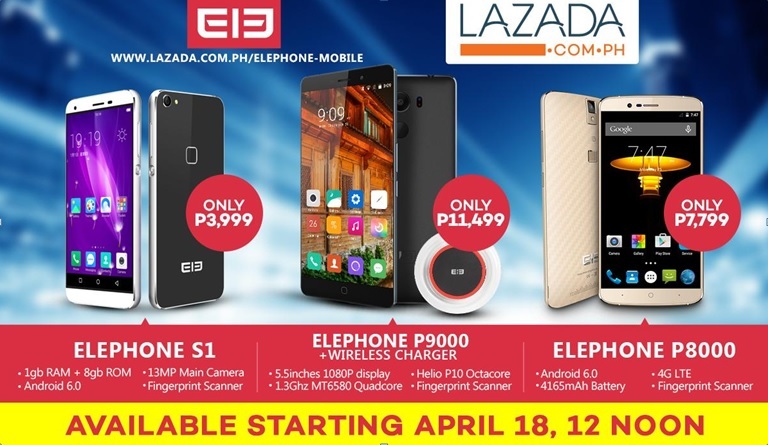 Elephone’s impressive portfolio—with sleek designs and cutting-edge features — is the perfect addition to Lazada’s range of smartphone brands. Together we can continue to delight our customers with more variety and greater value for their money. Combining Lazada’s Effortless Shopping with Elephone’s effortless user experience promises a new and fruitful partnership, which we look forward to building here in the Philippines,” says InancBalci, Co-Founder and Chief Executive Officer of Lazada Philippines. The P9000 boasts exquisite craftsmanship and superior performance at an affordable price. Armed with a 1.6mm narrow bezel vision and 5.5-inch OGS screen of 1920 X 1080 resolution and 85% color saturation, the P9000 elevates the everyone’s smartphone experience by providing a better grip and viewing delight as you see images from your screen to real-life likeness. With micro arc carved surface sophisticatedly built with metal frame, the P9000 is architecturally designed to perfection to make a bold statement. It is also packed with a 4GB RAM in its Helio P10 64-bit OctacoreSoC and operating in Android 6.0 Marshmallow which allows unparalleled optimization to enhance the user experience. Whether you are indoors or on-the-go, the P9000 will surely keep up to your lifestyle demands with its large capacity battery with PE+ quick charge technology allowing you to enjoy your smartphone experience for hours. It also has a built-in secure fingerprint touch ID which controls app permissions and unlocking the device – no need to type long passwords especially if you are busy. The NFC-enabled P9000 offers the exchange of data between devices within the 10.00 cm range. Lastly, the P9000 is built with a Sony IMX258 13 Megapixel CMOS sensor, F/2.0 large aperture and laser-aided auto focus feature as well as a speedy shutter to always let you capture those special moments vividly. Lastly, imaging is certainly not a problem with the P8000, with its 13MP Samsung primary camera performing in low-light condition with anti-reflection technology, images taken with the P8000 are certainly at par with those taken using DSLR cameras. Its 5MP front camera also makes the P8000 a perfect selfie companion, whenever and wherever. 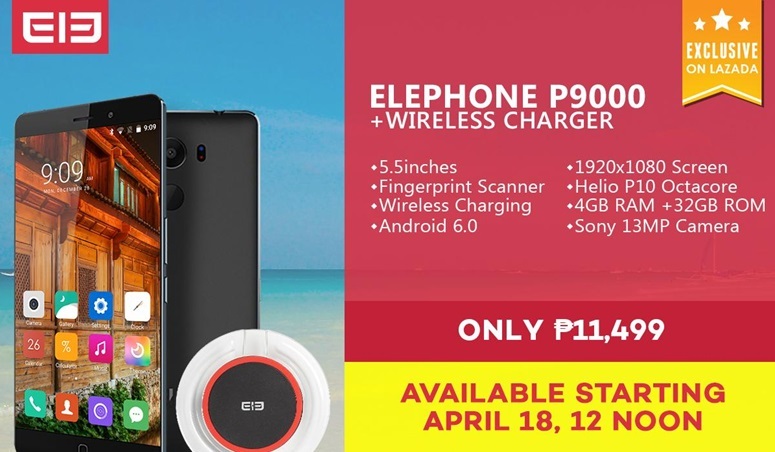 Equipped with MT6580 Quadcore CPU, Built-in Hexagon DSP Core, and Running on Freeme OS, the 142.3 gram and 6.7 mm slim Elephone S1 offers fast and all around android updates to make sure you’re well equipped anytime and anywhere.Capturing life’s precious moments are not a problem with the S1 as it is built with a 13MP Sony IMX149 rear camera which allows 1080P shooting and supports various effects such as black and white, embossing, neon glow, etc. 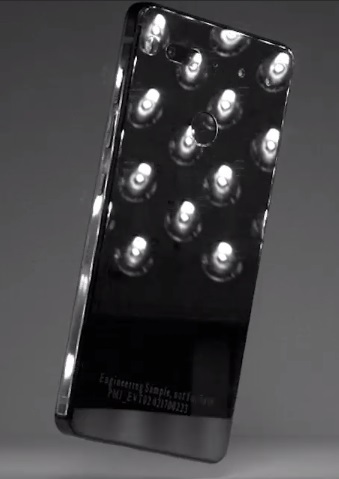 Its sapphire lens also protects the camera from any chips and breakage due to falling or scratching.